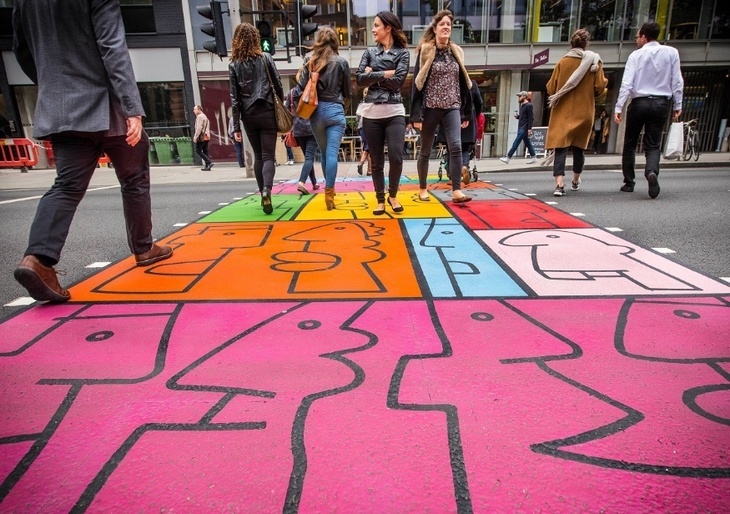 Seen This Colourful Crossing In Bankside? 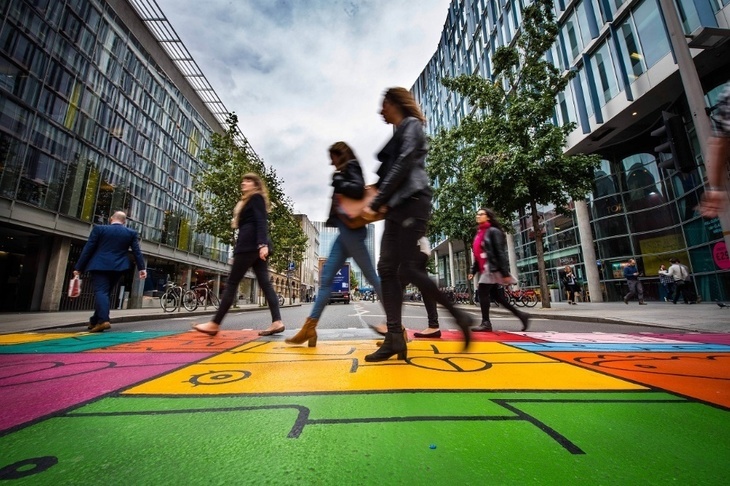 Will Noble Seen This Colourful Crossing In Bankside? Here's a pedestrian crossing that motorists can't fail to see. The vibrant new work is on Southwark Street, painted by Thierry Noir — a forerunner of the modern street art movement, and the first artist to paint the Berlin Wall. As with the Berlin Wall, Noir has daubed this strip of Southwark Tarmac with his trademark vibrant, elongated cartoon faces. You may also recognise similar work by Noir dotted around areas like Shoreditch. 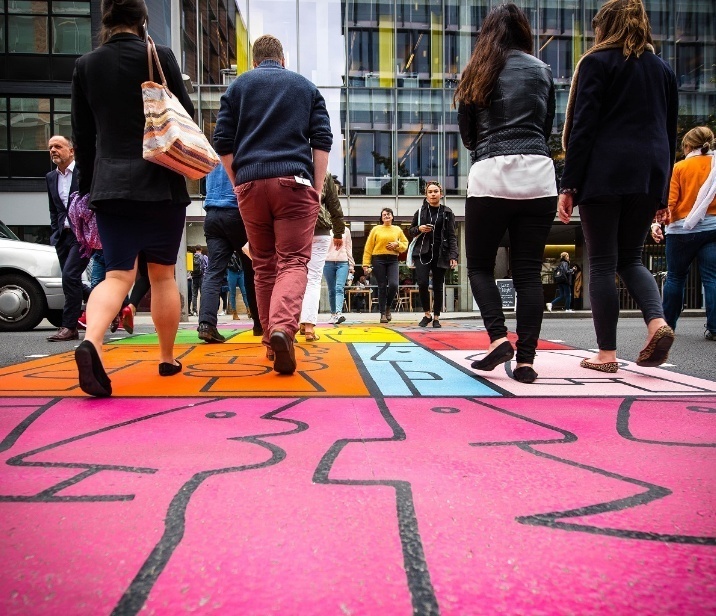 The installation is part of an annual commission called Colourful Crossings. 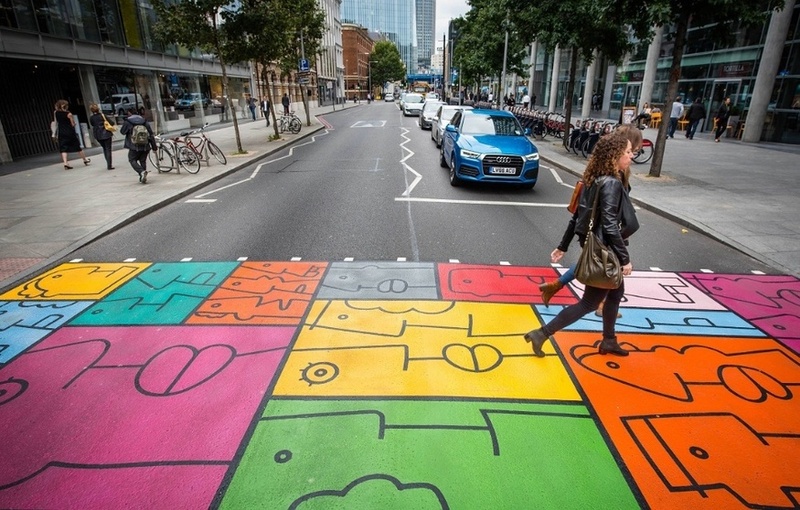 Last year, a crossing by Camille Walala was unveiled on the same street nearby, and although it wasn't designed to be permanent, it's still there now. We hope Noir's piece weathers the tread of London's feet just as well.